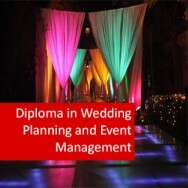 Wedding Planning course online. The wedding planner will have a range of tasks from hiring the band, talking to the photographer, finding a caterer, getting low prices for things and above all be very organised. Couples today dream of a wedding day that is special, unforgettable and goes smoothly without any glitches. 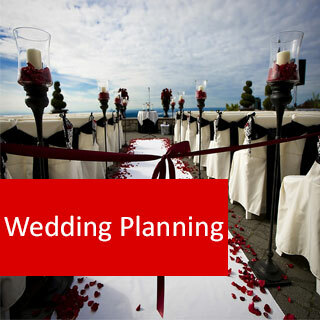 A Wedding Planner, can make that happen and a major attribute required as a wedding planning consultant is that he or she can keep calm and stick to the plan, when all around are losing their heads. Learn how to identify the various wedding styles or type and to be able to advise the groom and bride accordingly. Understand the tasks required in managing a wedding event - hiring the band, liaising with the photographer, organising catering, finding the best deal for hiring venues and equipment, and much more! Apply the knowledge and skills acquired during this course to take you in a new direction; maybe to develop a hospitality business, such as a boutique wedding venue or work in the travel sector as a 'destination wedding' coordinator. Included in this course, is a Wedding Planning Checklist, that although can't include everything (individual couples may have specific requirements), is very comprehensive and can be used as a standard template for ensuring nothing gets missed on the big day. Providing an excellent wedding service means getting a good reputation as a trusted wedding organiser, leading to word of mouth business and positive reviews. This online course in Wedding Planning will help you to get on your way and combined with your own organisational skills and personality, empower you to be a successful wedding planning consultant. Develop a programme or schedule of activities and events associated with a wedding. Improve your ability to communicate with, and assist the people who have employed you to manage a wedding; to achieve a desired outcome. What skills does a wedding planner require?